I live in Renfrewshire the other side of Faslane right across the Erskine Bridge. I knew about the Peace camp having honked my car horn whenever I passed it but despite living so nearby I am ashamed to admit, I had never visited it. Iwas delighted when one of my comrades Neil from the Campsie Branch of the SSP organised a visit. Along with my daughter Linz we visited the camp yesterday and met one of the activists Leonna. Passing the camp on the road toy can see a patchwork quilt of colourful caravans. Inside the campers have created a beautiful and spiritual face right in the shadows of trident submarines and their nuclear cargo. Enough to wipe the whole of Scotland off the map. Leonna arranged a worshop for us with the history of trident and an introduction to the politics of non aggressive direct action. This was a challenge to me. A few weeks previously I had been on the demo at the tory party conference in Troon. To be honest now I don’t know I can treat such people with respect. Leonna and other Faslane peace camp members are on first term names with the police at the base and the relationship is symbiotically respectful. When she showed us some of the lock in they use, when they lie on the road to protest I was especially struck by one of her recountings. They are very creative at making devices that are extremely difficult to cut through. One one occasion the cutting team asked them to just release themselves rather than get cold. When they refused they put blankets round them so they wouldn’t get cold. 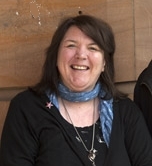 She described the police in Faslane as “fuzzy” compared to some of the police she had encountered in Europe. That is real challenge, treat those who oppose your view with dignity. It is evident though that this calms down aggressive behaviour and is a much different approach to much of the macho politics I have been involved in. I will work harder to try and love a tory or at least show them respect. Emphasis on try…. What will happen to Trident in an Independent Scotland? Call me cynical but I am sure Salmond and Cameron have already discussed this and call me cynical, but no doubt it has already been used as a bargaining chip. 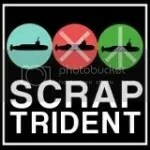 The Scottish Socialist Party is very clear no to Trident in Scotland. What will happen when we get independence? Will Faslane be leased to the UK. We need to get answers from the SNP. The Scottish Socialist Party is commited to a nuclear free Scotland where we don’t live under the shadow of a smoking gun. We also remain committed to ensure that any workers who may lose their jobs as a result of our policy will be redeployed and receive retraining. I am proud to be a member of the Scottish Socialist Party. Who look to create an independent kinder vision of society. As well as my Campsie comrades my daughter Linz and her friend attended and were inspired by the peace camp too. So many of us myself included have so much to learn from the Faslane Peace Camp. I look forward to visiting them again soon. This entry was posted in Uncategorized and tagged SSP Scottish Socialist Party Faslane Peace Peace Camp Trident. Bookmark the permalink.